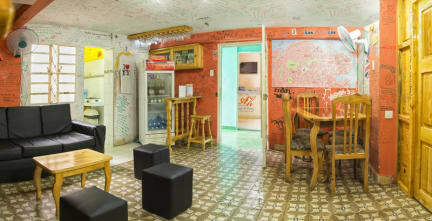 One of the best in Havana, really good atmosphere and value for money. Great prices for breakfast, lunch, dinner and cocktails too. Lovely casa with an amazing atmosphere and awesome owners! If you're travelling solo it's the best place to stay in havana. Ania is a lovely host and she would do anything to make you feel at home! Good atmosphere, small place for have community area. Expensive breakfast. They don’t organize trip around, and give to us expensive price for taxi collettivo, and expensive price for other casa particular. Is better don’t reserve nothing and just go and contract price.